The Ohio State University professor discusses the new imprint, Latin comics, his new website and more. Frederick Luis Aldama is an Arts and Humanities Distinguished Professor at Ohio State University where he teaches in multiple departments. One of his passions has always been comics. 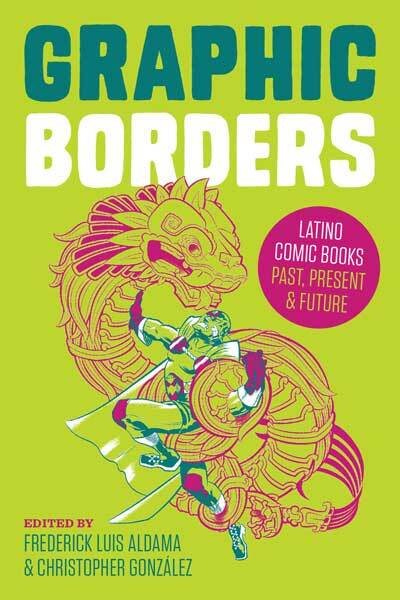 He’s written books like Your Brain on Latino Comics: From Gus Arriola to Los Bros Hernandez and co-edited books like Graphic Borders: Latino Comic Books Past, Present, and Future, among many others. His new project is the Latinographix imprint, part of Mad Creek Books at Ohio State University Press. This month the imprint is releasing its first book, Alberto Ledesma’s Diary of a Reluctant Dreamer, and Aldama also launched a website, The Planetary Republic of Comics. We spoke recently about these projects, the conversations he’s hoping to launch around about Latinx comics and talks about the books he’s publishing in the coming years. You’ve written about comics over the years but could you say a little about what Latinographix is and what you’re trying to do? 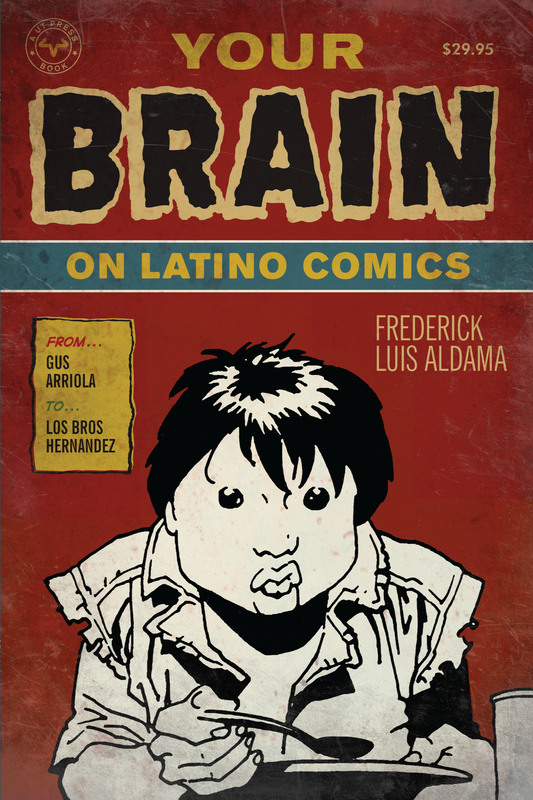 In 2009 I published Your Brain on Latino Comics. I’ve been interested in comics since I was a kid and in particular when I was in college really focusing on the work of Jaime and Gilbert Hernandez. I knew in the back of my mind I wanted to do something more scholarly with Latino comics way back then but I also knew that, to be totally candid, writing a book on comics in the early part of the 21st century probably would not have got me tenure. I came to that book finally once I was a full professor. At that point we’d already had more than a dozen Latino creators out there doing really amazing work. I mention all this because there during this journey I realized that there are all these amazing Latino and Latina creators out there making extraordinarily complex and sophisticated work that weren’t getting the critical attention they deserved. I went to Ohio State University Press and I pitched this idea: Latinographix, a trade-press series dedicated to publishing all variety of fiction, nonfiction, memoir, biography, autobiography by Latino creators. They loved it. 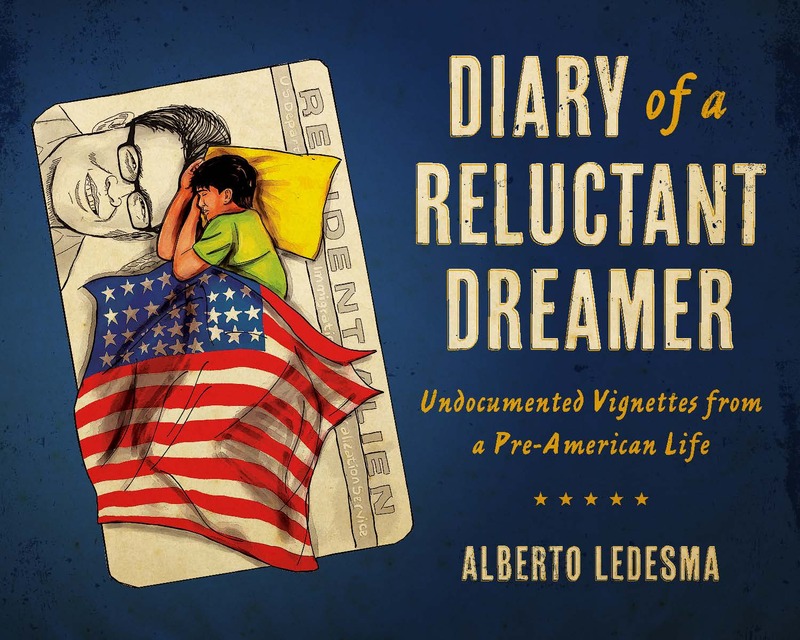 Albert Ledesma’s Diary of an Reluctant Dreamer is the first out of the gate. It’s doing what I wanted Latinographix to do. To provide a publishing venue to Latino creators like Ledesma. To give the respect and the authority to the great work by Latinos and Latinas that is being done out there. It’s allowing them to find a place for their voices, their creativity, and their messages. Alberto’s book has already been reviewed in all of the right places. It’s getting the kind of scholarly and critical heft that we need. Alberto’s book is a hybrid book that is memoir but also has elements of criticism and nonfiction, and that tackles this question of being undocumented, and it feels very intentional that you launched Latinographix with this book. It is very intentional. Deciding to launch the series with Diary sends a strong message to the world about the kind of creative and critical space Latinographix aims to make. To giving a voice to those who have otherwise been denied this space. Undocumented people and their stories in this country – whether you’re Latino or coming from another nationality – are pushed to the corners and swept under rugs. Launching with Ledesma’s Diary was a very deliberate move. To answer your question, what is it a comic? Of course we have the DC-Marvel universes that dominate the comics – and film – industry. These comics tell people that visual-verbal storytelling should be a series of panels on a page; DC and Marvel have established a mainstream grammar of comics. If you look at the alternative and the independents—and the underground comics before these—we see that comics are any and all combination of the text and the image in ways that move story forward. Alberto Ledesma’s book is a journey. It’s a journey that is narrated through visual and verbal means. Diary of a Reluctant Dreamer tells the world that visual-verbal storytelling doesn’t have to be done in the ways determined by the mainstream, superhero comic mode. It can be done in very different and very creative ways. In recent years we’ve seen more Latino and Latina creators from here in the US, but also a lot more translated work from throughout the Americas. Fantagraphics has been spearheading translations of important Latin American comics into English for US American audiences. We are getting more comics that are getting translated into English, which is amazing because people are like, I had no idea that there was this rich tradition of comics in Mexico or Argentina. Translation is extremely important. It’s also very difficult. 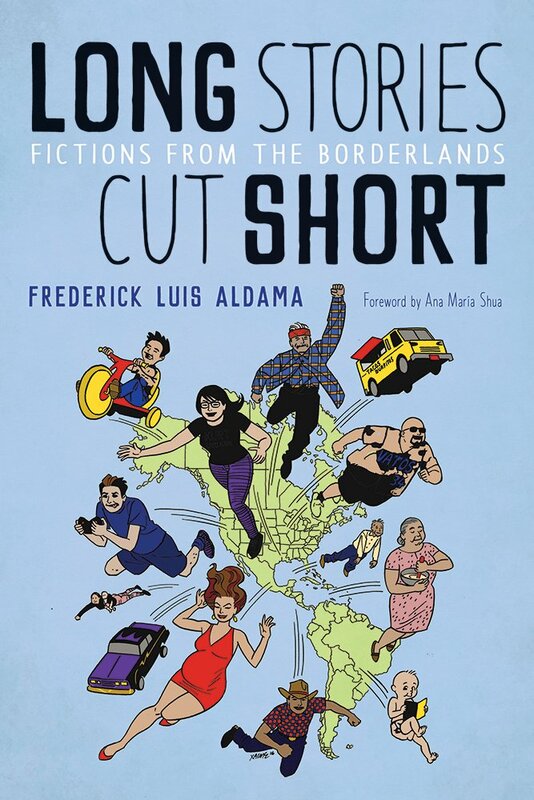 I just published a book of graphic fiction called Long Stories Cut Short: Fiction from the Borderlands. It’s bilingual and so needed a bilingual copyeditor—something that publishers often don’t have but should. There is definitely an obligation to translating comics into English. If we don’t, people are really going to be missing out on the riches that we have around the globe. Fantagraphics publishing The Eternaut was a revelation to a lot of people, I think, and there is this great tradition of comics in many countries. In your scholarly work you seem interested in connecting these threads, is that one of the things you’re trying to do with the imprint as well? I’m about to launch a site for general readers called The Planetary Republic of Comics. It has tons of content written by scholars from around the world. I wanted to launch the site first with attention paid to artists and creators from countries outside of the US. Creators and artists are constantly looking to other creators and artists from anywhere and everywhere. In a kind of planetary relay race, comic book creators read and are inspired by other comic book creators from all over the planet. In that sense nationality and nation states don’t play a part. Of course distribution does, so it’s hard for us to get our hands on non-Anglophone comics from outside of the US. I want to make sure that people not only see Latinographix and the authors I publish for what they’re doing and bringing in terms of their stories and their messages, but I want them to be enriched and understand the sophistication of their work within a global perspective. It feels like you want this imprint to be political but also to take in a lot of different formal and artistic approaches. I have a strong and steady stream of books in the pipeline. The next book out of the gate is going to be Eric J. Garcia’s El Machete Illustrated (spring 2018). Eric’s a satirical cartoonist, working mostly with the single panel conceit. I’ve also got Ilan Stavans’s and Santiago Cohen’s Angelitos (summer 2018) and my own edited collection that includes 67 Latino and Latina comic book creators, Tales from la Vida: The Latinographix Collection (fall 2019). I was also very fortunate to have grabbed Wilfred Santiago’s Thunderbolt (spring 2019). He created the extraordinary graphic biographies of Michael Jordan and Roberto Clemente as well as the graphic novel, In My Darkest Hour. In a way, the second that a Latino/a creator puts puts pencil to paper, it’s going to be political. A Ledesma, García, or Santiago, as Latinos in this country, have experienced all sorts of discrimination. There’s no way around it for a Latino/a creator not to bring a political sensibility to their work. Even creators that are working in a superhero mode like Richard Dominguez or Javier Hernandez infuse a political sense in their work. So on the one hand, Latino comics transcend the local in this grand planetary relay race of sharing and innovating. On the other hand, because of the Latino subjectivities that are behind the creation, there’s always going to be a locally inflected political, social, and historical dimension. What are your hopes for the series, both in terms of how many books are you hoping to publish but also what are the kinds of conversations you hope to start? Ideally we would have one book a season. So far we’re on track for keeping the energy and momentum going for this. I mentioned earlier Tales from La Vida: The Latinographix Collection that will be out fall 2018. I’m extraordinarily excited about this volume with its 67 Latino and Latina creators under one cover. It’s all original comics stories that vary between 2-4 pages that are very much based on or grow out of some kind of hinge moment or deep experience in the respective comic creator’s biography. That’s in production as I speak. And, for those who think this is an all-boys club, this collection will put this to rest once and for all. Nearly half of the contributors are Latinas. I bring this up because on the one hand I want to shout from the rooftops that there is this incredible creative energy coming from the Latino and Latina community. Readers need to pay attention. Scholars need to pay attention. My graduate students can write dissertations now and won’t be told, you won’t get a job. We need that. 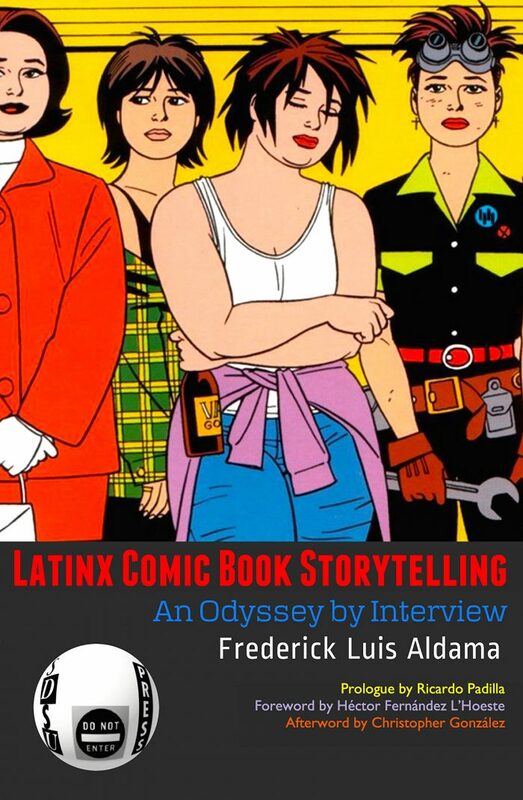 Latinographix the series aims to provide this kind of critical heft to Latino/a comics. It seeks to forcefully push into the imagination of everybody in this country that Latino/as are a creative force to be reckoned with.